2018 was the European Year of Cultural Heritage (EYCH) by the European Union. It was celebrated in all EU member states and many more countries in Europe. The official slogan of the Year is “Our Heritage: where the past meets the future”. The Year was launched at the European Culture Forum in Milan on 7-8 December 2017 and was closed at the #EuropeForCulture Conference in Vienna on 6-7 December 2018. How did Europa Nostra contribute to the EYCH? 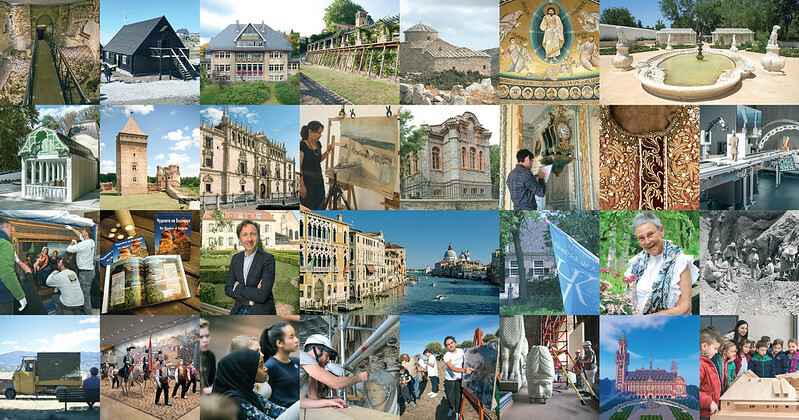 Europa Nostra, together with its wide network of members and key partners, engaged citizens and stakeholders to contribute to and to celebrate the European Year of Cultural Heritage. Europa Nostra also called on all participants to take steps to help sustain the legacy of the EYCH beyond 2018. Since 2017, Europa Nostra has been closely involved in the preparation and implementation of the EYCH as one of the 36 selected organisations (including members of the European Heritage Alliance 3.3), which formed the EYCH 2018 Stakeholder Committee. 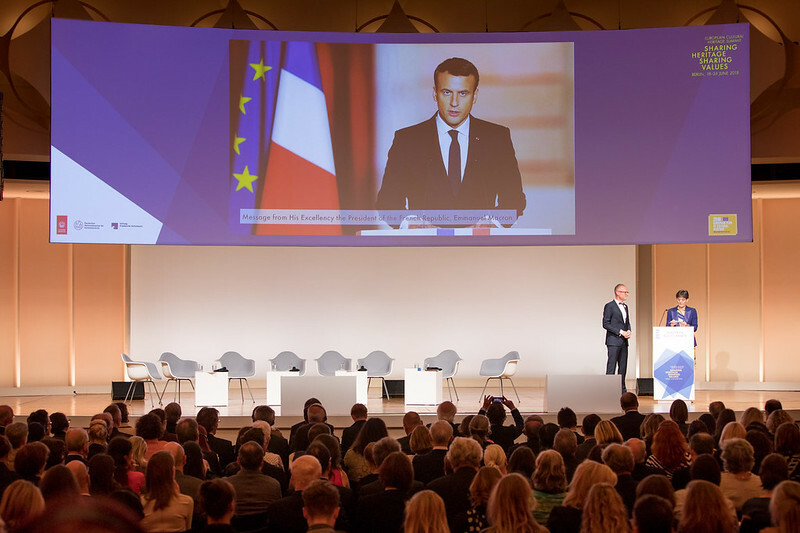 Europa Nostra, the German Cultural Heritage Committee (DNK) and the Prussian Cultural Heritage Foundation (SPK) co-hosted the first ever European Cultural Heritage Summit in Berlin from 18-24 June. The Summit was the largest European event taking place during the Year, comprising 67 events organised by some 85 partners (see programme) and assembling over 1,500 participants from all over Europe. The Summit, with the motto “Sharing Heritage – Sharing Values”, brought together a wide range of stakeholders, decision-makers and citizens as well as top level representatives from European Union institutions, member states and civil society organisations. The Summit built on the political momentum and promoted an ambitious European Agenda and Action Plan for Cultural Heritage as a lasting legacy of the European Year of Cultural Heritage, mainly through the presentation of the “Berlin Call to Action: Cultural Heritage for the Future of Europe” (available in several European languages). The Berlin Call to Action was presented during the European Policy Debate and was immediately endorsed by some of the highest representatives of European institutions, many engaged European citizens and stakeholders. More than 1,900 organisations and individuals have already signed the Berlin Call. Get involved: Sign, support and widely share the Berlin Call to Action! As a contribution to the European Year of Cultural Heritage, last year’s edition of the EU Prize for Cultural Heritage / Europa Nostra Awards put special emphasis on the European added value of the selected heritage achievements. The 29 winners from 17 countries were celebrated at the European Heritage Awards Ceremony, held on 22 June in Berlin. Europa Nostra organised the 5th Anniversary Conference of the 7 Most Endangered programme and Capacity Building Days on Endangered Heritage on 22-24 October 2018 in Nicosia, Cyprus, in the framework of the European Year of Cultural Heritage. In March 2018, Europa Nostra and the European Investment Bank Institute announced a new list of the 7 Most Endangered heritage sites in Europe. Expert missions to the selected sites took place by the end of 2018 / beginning of 2019. 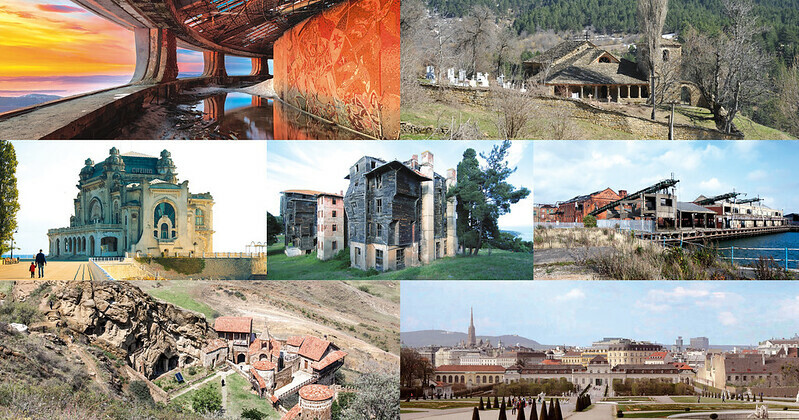 Get involved: Join the campaign to save the most endangered heritage sites in Europe! On the occasion of the European Year of Cultural Heritage, Europa Nostra and its President Maestro Plácido Domingo launched the #Ode2Joy Challenge. This participatory social media initiative celebrates Europe and our shared cultural heritage. Since it successfully kicked-off on 9 May 2018 (Europe Day), more than 100 reinterpretations of Beethoven’s “Ode to Joy” from over 25 countries across Europe and beyond have been filmed at heritage sites and shared via social media. Some of the most inspiring contributions received so far were showcased at the European Heritage Awards Ceremony. This initiative is running until 9 May 2019. Get involved: Contribute to the #Ode2Joy Challenge! In addition to these selected flagship initiatives, Europa Nostra is working on a wide of range of activities and cooperating with diverse partners in the framework of the EYCH and is contributing to sustaining its legacy. The European Commission has proposed 10 long-term European initiatives covering different aspects of cultural heritage that structure the activities at European level and that will serve to build a lasting legacy of the EYCH 2018. Find out how Europa Nostra contributes to these initiatives here.